This week, three of the division schools were host to a very special guest: Principal Deputy Assistant Secretary of Education Jason Botel. Botel made the trip to Virginia Beach City Public Schools (VBCPS) to see the work the division has implemented in personalized learning – offering students options in the classroom and empowering them to make meaningful choices in support of their own learning. 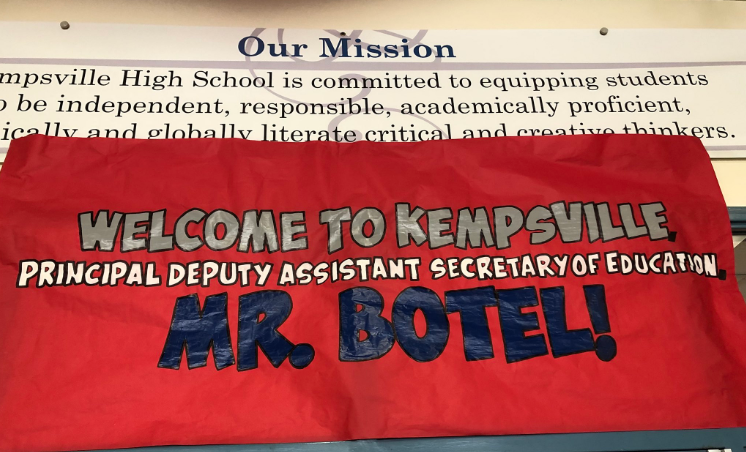 Specifically, Botel visited three schools to see this in action: The Entrepreneurship and Business Academy (EBA) at Kempsville High School; the Advanced Technology Center (ATC); and Parkway Elementary School. At Kempsville, Botel was greeted with a full on business pitching session. Fresh off the academy’s national win at the World Championship of Entrepreneurship, EBA students showcased their ability to frame the need and demand for new products/services and then identify the key markets in their pitch. Botel also was able to meet some of the academy’s staff members and observe as students worked in small groups working on various researching and brainstorming activities. 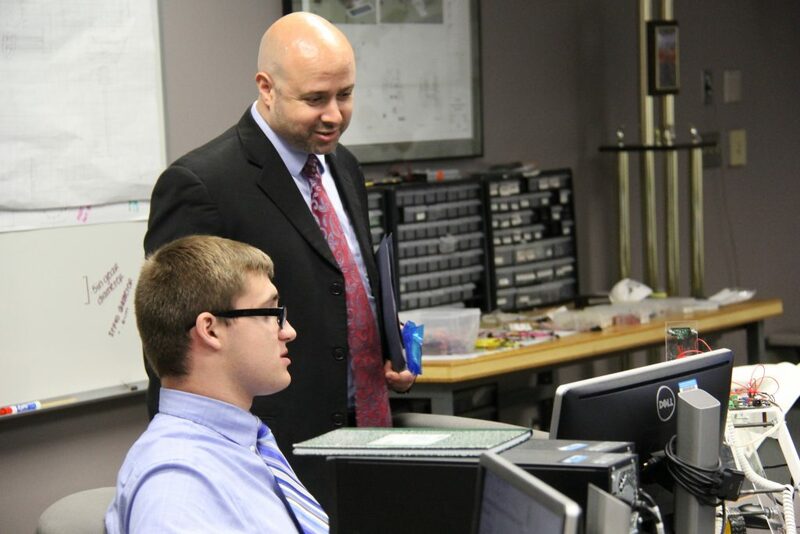 Next up, Botel traveled to the Advanced Technology Center, where he met with students there as part of a discussion panel and heard about the opportunities they are receiving now to learn the skills necessary to be competitive in high-demand career fields, including engineering, design and cybersecurity. 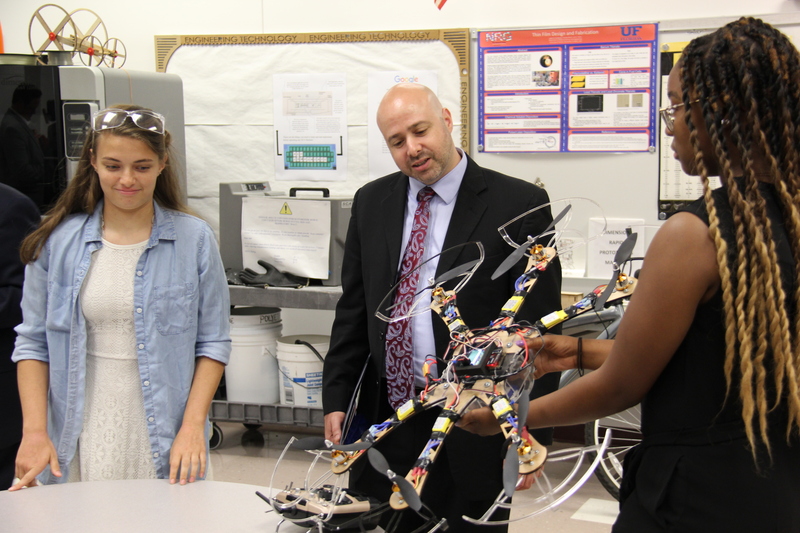 Following the panel, Botel toured the classrooms where he could see exactly what the students were learning: including creating from scratch a new drone, working on construction plans for a medical facility and tackling computer security challenges and tests. Joined by Cashwell and VBCPS Superintendent Dr. Aaron Spence, Botel saw firsthand how students were experiencing and learning the curriculum while pursuing their career interest and passions. 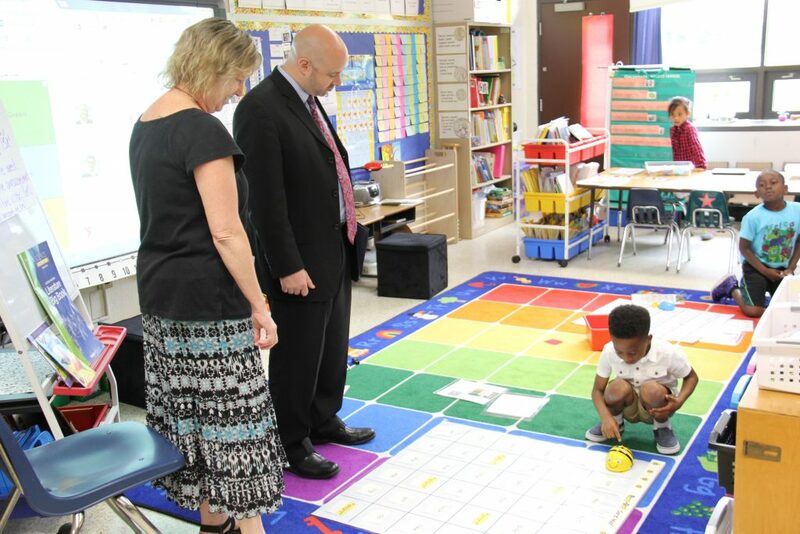 Botel ended his tour in Virginia Beach by visiting Parkway Elementary School, and spending time with students, staff members and administrators to understand how a personalized learning approach helps address the needs of the Title I school. “Being here at the elementary school and seeing students using quite a bit of technology, but using it in a way that is really allowing them to get personalized instruction, giving their teachers better data to know how they are all doing and track how they are doing and doing that in a collaborative way, that’s been really impressive,” Botel said. At Parkway, Botel met kindergartners who were coding robots; saw students working on independent projects on Chromebooks; and even went to the school’s Dream Room, where students could work with 3-D glue pens and other engineering games.